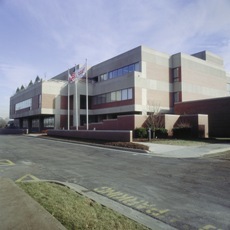 Compounder PolyOne Corporation (Cleveland, OH) has made several customer-focused upgrades and enhancements to its collaborative Innovation Centers in Asia and the U.S. As part of PolyOne’s commitment to develop specialized, innovative solutions in close cooperation with its customers and suppliers, the company operates 11 state-of-the-art Innovation Centers worldwide. Located in seven countries and three regions around the world, customers work side-by-side with PolyOne technologists and designers to develop products and solutions. PolyOne continues to upgrade and invest in its Innovation Centers to further serve the needs of customers interested in collaborating to solve product and performance challenges, while accelerating their speed to market. Launching a new color and additives Innovation Center in Seoul, South Korea. Doubling the size of PolyOne’s Shanghai Innovation Center, including the addition of a training facility, design showroom, and equipment that expands prototype capability to textile and fiber applications. Launching rapid prototyping equipment at PolyOne’s Avon Lake (Ohio) Innovation Center. This new technology provides customers Fused Deposition Modeling capability, which utilizes computer drawings to directly manufacture working prototypes, eliminating the costly and time-consuming step of machining molds from metal. This new 3-D printing capability also allows for on-the-spot experimentation with multiple base materials. Increasing production capacity and expanding capabilities to support customers by prototyping film, sheet and injection molding processes at PolyOne’s Suwanee (Georgia) Innovation Center. The Innovation Center in Seoul will serve the growing colorants and additives business in South Korea. This new facility expands the network of PolyOne Innovation Centers to eleven, and will offer enhanced levels of service and collaboration to PolyOne and ColorMatrix customers, helping to simplify and shorten development time and increase speed to market. The Seoul Innovation Center is located in the Yeongdeungpo-Gu area of the city. This facility signals a significant step in PolyOne’s continued expansion into the Asian market, and will enable more effective collaboration with customers locally as well as the utilization of the full portfolio of colorant and additive technology solutions.